COLUMBIA, SC (courtesy carolinapanorama.com) — Honors continue to pile up for Dr. David H. Swinton. 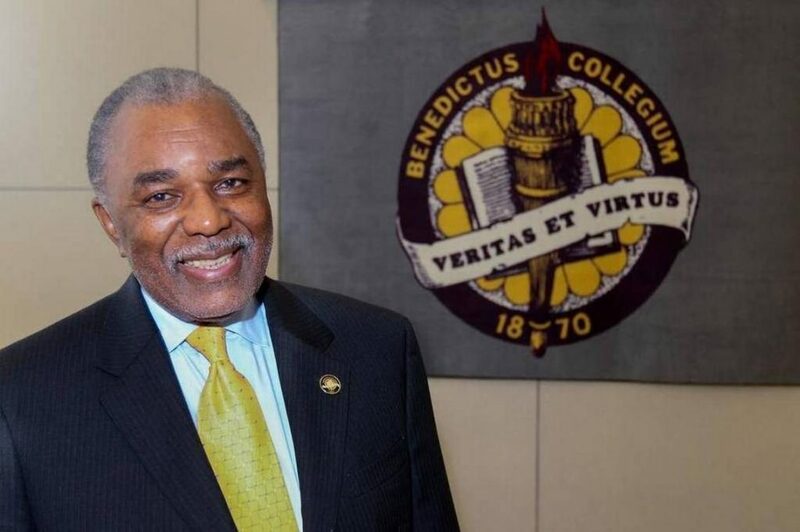 Benedict College and Benedict-Allen Community Development Corporation recognized retiring Benedict College President David H. Swinton, for his 23 years of committed service to the community. Dr. Swinton was recognized at a ceremony held on Read Street on Monday, May 15, 2017. During the ceremony, a new housing development and the Read Street Extension were renamed in Dr. Swinton’s honor. Dr. Swinton was honored for his tireless efforts to revitalize the neighborhoods surrounding Benedict College. In 1995, Dr. Swinton had a vision to create a safer and more engaging environment for Benedict College students. It was Swinton’s goal to bring the surrounding community back to life after years of neglect. Dozens of civic, local and state officials attended the ceremony. Dr. Swinton received commemorative plaques from the General Assembly, the Benedict-Allen Community Development Corporation, and received the Key to the City of Columbia. The ceremony concluded with the renaming of the Read Street Extension and an affordable housing development being constructed by the Benedict-Allen CDC in the 2300 Block of Read Street. For more information about the Benedict-Allen CDC at the projects it is working on, contact Larry K. Salley, Executive Director of the Benedict-Allen CDC at (803)705- 4682 or via e-mail: Salley5@aol.com.